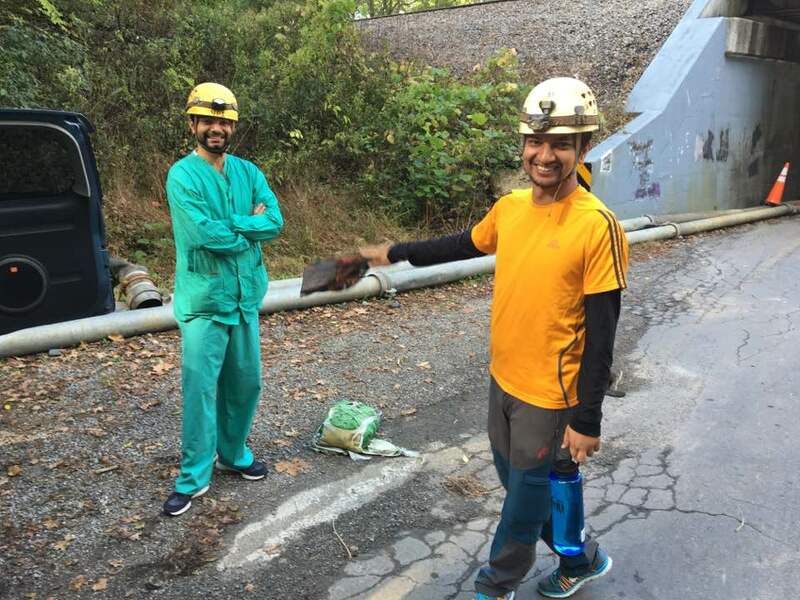 As part of the Virginia Tech Carilion Wilderness Medicine Fellowship, in partnership with our colleagues in the Mountain Medicine Society of Nepal, an exchange program has been created for Nepali resident candidates which includes shadowing shifts, teaching and assistance with preparing for the US residency match. 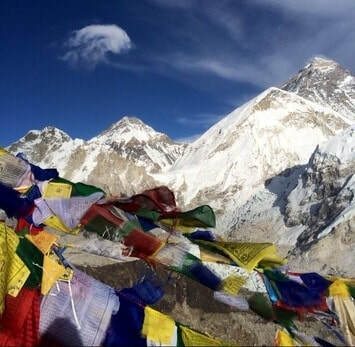 During Dr. Gehner's research trip to Everest Base Camp in 2014, she became very close with several of the doctors who work at Everest ER and the other small hospitals in the highlands. These doctors are all experienced in austere medicine and trauma as a result of their work at Everest ER. As they seek to further their training and career their ultimate goal is to complete a US residency program, specifically one in Emergency Medicine. This exchange program, piloted in the Fall of 2016, included the visiting doctors shadowing in the ED both at Roanoke Memorial Hospital ( a level 1 trauma center) and at the smaller hospitals such as Carilion New River Valley and Stonewall Jackson. This gave the participants a chance to witness emergency department operations in the United States and allowed them to gain familiarity with our patient population in preparation for application to US residency programs. It also gave participants a chance to interact with attendings, and obtain a letter of recommendation based on their interactions while shadowing. They also had the opportunity to shadow EM residents on their Ultrasound rotation in the ED, and were able to develop their ultrasound skills during a workshop at weekly academic conference and simulation lab. Another facet of the program included the Nepali doctors participation in the VTC Wilderness Medicine elective, where they acted as both learners and teachers. The participants helped teach wilderness first aid at our community outreach program/monthly lecture series “Disrupting Natural Selection”. The doctors participated in the Advanced Wilderness Life Support Course, elective caving trip, and audited a Swift Water Rescue course. In addition, they also had the opportunity to give lectures on Altitude Medicine at our Emergency Medicine weekly academic conference, as well as at the Appalachian Center for Wilderness Medicine annual banquet. During the Fall of 2016 VTC hosted 3 Nepali doctors, who were visiting the US to sit for the the USMLE exams in preparation for application to the match process. During this visit they also presented research at the World Conference of Wilderness Medicine in Telluride,CO, which Dr. Lareau and I were able to attend. Several Emergency Medicine residents were kind enough to host the participants in their homes while staying in Roanoke, and Dr. Pranav Koirala and Dr. Tyler Darnell hosted a dinner and meet and greet for our guests and medical providers. 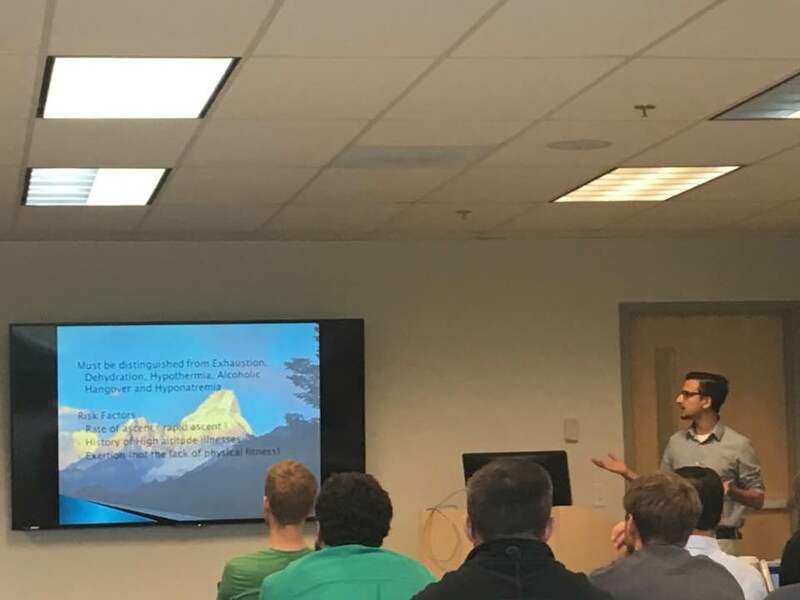 The faculty and staff at VTC certainly enjoyed having Dr. Sanjeeb Bhandari, Dr. Sushil Pant, and Dr. Nirajan Regmi to Roanoke, to offer their perspective and expertise in Wilderness and Emergency Medicine, and look forward to working with them again in the future! As this is an exchange program, the current Wilderness Medicine fellow will have numerous opportunities for shadowing, teaching and potential academic work in Nepal. In addition a Diploma of Mountain Medicine is offered on a biannual basis in the Himalayas ( next session November 17- December 17, 2017) for future fellows. Dr. Jessie Gehner, the first WM fellow at VTC, plans to travel to the Mt. Everest region this April 2017. During her stay, she will give lectures for medical students in Nepal, and to the Mountain Medicine Society of Nepal group. She also will be conducting a needs assessment at remote sites to plan future educational projects, and quality improvement projects. 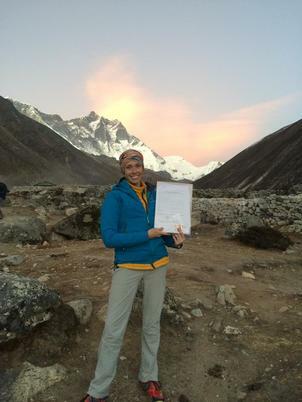 As Dr. Gehner's primary area of interest and research is altitude medicine, she will be exploring the Nepali IRB process, so that research proposals can be submitted in the future. In addition to shadowing at Nepali Clinics, including rural locations in the Khumbu region. She will be solidifying logistics for lodging, shadowing, etc. in anticipation of creating rotation in Altitude and Mountain medicine for VTC Residents and PA Fellows. "Myself and our Nepali colleagues are very excited about this alliance and hope to see it grow and evolve so that both parties may continue advance their career in Wilderness medicine and realize their dreams. I am extremely grateful to be given this opportunity." The 2017 rotation would last tentatively from September 11 until October 9th and would include 5-6 shadowing shifts in both the Level 1 Trauma Center at Roanoke Memorial Hospital and at the smaller rural hospitals such as Carilion Stonewall Jackson Hospital and Carilion New River Valley Hospital. Participants will also have time in our Simulation lab, ultrasound workshops, and teaching opportunities at our academic conference. This year we also hope to include a mock interview in preparation for residency interviews. In addition, with the help of our EMS fellowship, they would have the option of EMS ride alongs either in the OMD vehicle or with one of our local EMS stations(1-2 during the rotation). Dr. Koirala and colleagues felt this was a valuable experience, as there is no organized EMS infrastructure in Nepal. Doctors may join our Emergency Medicine Residents in simulation lab, in which different scenarios are carried out on a high fidelity simulation mannequin. They also are welcome to shadow residents on the Ultrasound Rotation in the ED, and participate on hands on workshops at our weekly conferences. 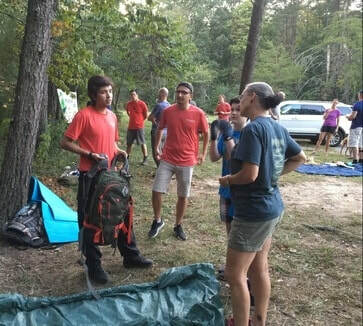 During the wilderness medicine elective, participants would help teach students and community members wilderness medical skills based on their experience in Mountain Medicine. Participants will take the Advanced Wilderness Life Support and Swift Water Rescue Courses during this time if desired. They may also participate in climbing and caving excursions with the students (see below) This not only would expose our students and residents to austere medicine in Nepal, but give the Nepali participants teaching experience in an academic setting in the US. Participants may take a 3 day course designed for healthcare professionals, to convert their medical training into a form usable in limited resource ("wilderness") environments. Participants may audit or take the SWR course held at the Roanoke River. 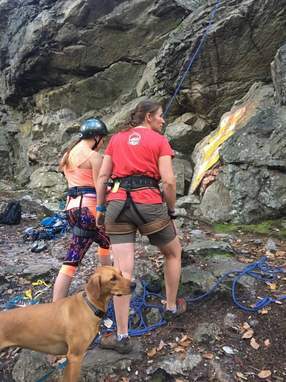 In order to do the in water training participants must be proficient swimmers, however if not they are welcome to participate in the dry land training and lectures. There will be an opportunity to go with a member of our experienced faculty to learn more about caving, cave rescue, and take a day trip into one of the numerous caverns in the the New River valley. Virginia Tech Carilion is located in the beautiful Blue Ridge Mountains along the 2200 mile long Appalachian Trail. Every year this trail attracts thousands of outdoor enthusiasts and a portion of these hikers complete the entire trail in a 6 month long trek. As part of this rotation, participants would have the opportunity to go on a multi-day hiking trip including some of the iconic landmarks McAfee's Knob and Dragon's Tooth. From a cost standpoint, doctors would pay for the swift water rescue course, AWLS course, and room and board for the elective. Several persons have volunteered to open their homes to the participants and a living arrangement schedule will be generated once applications are received. The estimated total cost is approximately $300 plus room and board.